I’ve been having so much fun researching DIY ideas and it amazes me how creative brides are these days. The internet is definitely a great source for ideas and inspirations and it was definitely something I took advantage of when I was planning my wedding. The great thing about DIY is that you’re not limited to what others have already created. With a little imagination and creativity, you’ll be surprised at what you can come up with for your wedding day. To be able to pull off a great DIY wedding, all you need is time, patience, creativity, imagination and a lot of help. Yes, DIY stands for Do It Yourself, but depending on how much DIY you’re planning to take on, you might also consider some help along the way. That’s what your bridal party’s there for. This is a great idea for a guestbook. 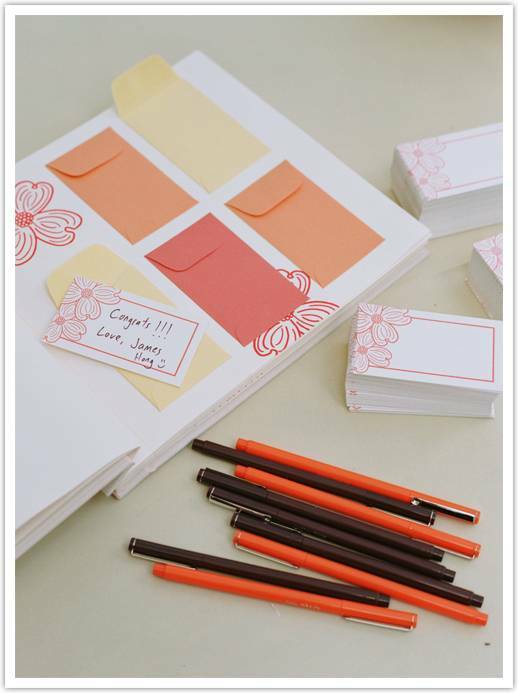 The envelopes add to the surprise as you look forward to read your friends and family’s well wishes. 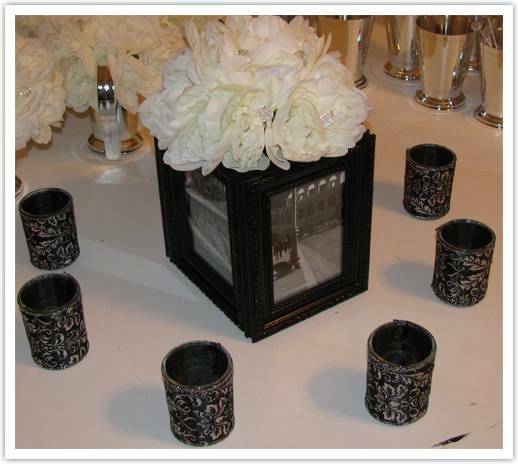 3-4 frames can be transformed into a vase that showcases a few of the couple’s favorite pictures. Line up your aisle with paper luminaries to add a touch of romamce. 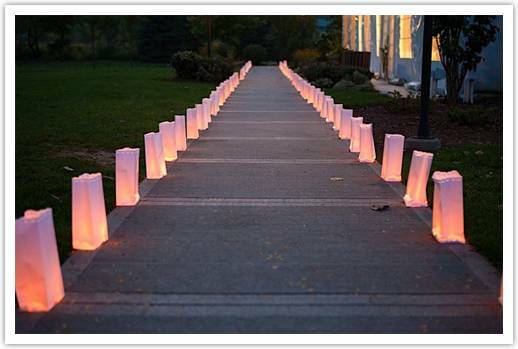 Or if you’re having an outdoor wedding, this is great to light the paths from the ceremony to the reception. I love how this DIY is serving 2 purposes. 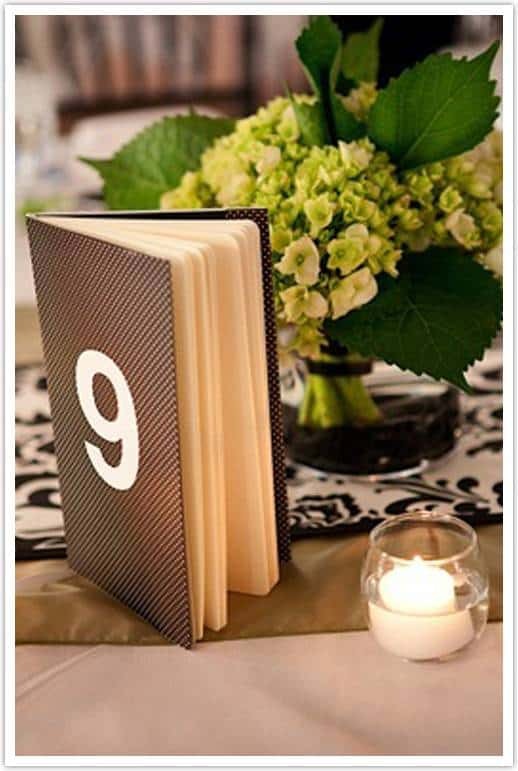 As a table number and as a guestbook. Good thing about this is that you don’t have to wonder who wrote what since you have the list of who’s in that table. Here’s a great take on letting your guests know a little something about you as a couple. 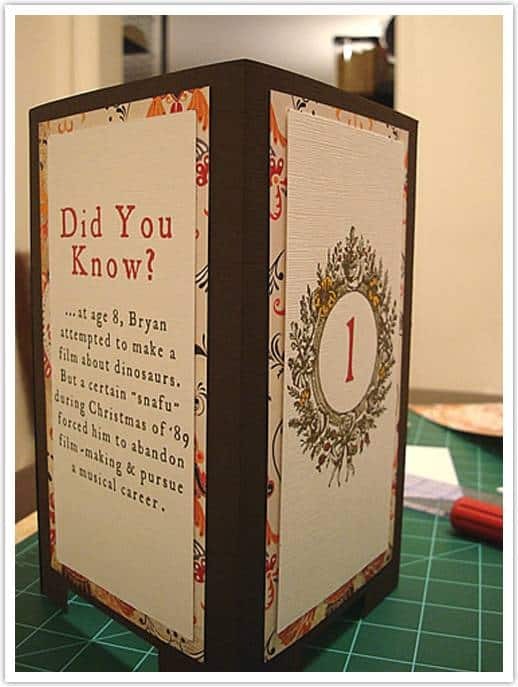 For your table numbers, add a fact or trivia about the couple. This will definitely come in handy when guests are waiting for the program to begin and even a great conversation starter. I love, love the idea about writing a trivia on the table numbers.. It is something that came up to my mind to be doing at my wedding.. It’s fun and a conversation starter!! Fantastic! I like trivia writing idea too! I am trying to find creative ideas too. I am thinking about buttons for guests ! It could be like a game too. Still thinking how they should look but something with funny things written or numbers or f.e. give only for single guests..what do you think? I found place where I can try to order them (link in my name) but still thinking do that or not and if yes it is good place. Maybe you can offer something?